Mandarin Oriental Hong Kong is a 5-star hotel located in the heart of Central, within easy access to shopping areas, business district and overlooking Victoria Harbour. With either city or Harbour views, each guestroom features duck feather pillows, complimentary water, a nespresso coffee machine, working desk and a separate bath and walk-in shower. Rooms are equipped with high-tech amenities such as LCD TV, entertainment system with high quality audio system and wireless internet. The 10 in-house restaurants and bars offer a range of cuisines and a wide selection of beverages. Leisure facilities at the hotel include a fitness centre, Chinese herbal steam room, jacuzzi, and an indoor swimming pool. In addition luxury spa treatments and traditional Chinese medicine are available to guests. The hotel is approximately 40 minutes drive from Hong Kong International Airport. 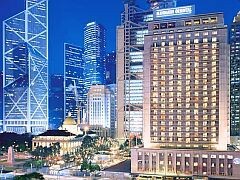 The MANDARIN ORIENTAL HONG KONG is a Tourist, Business, Leisure, City hotel hotel. Located in Business District area. Shopping is accessible by bus/taxi and the nightlife/restaurants are located in the hotel. 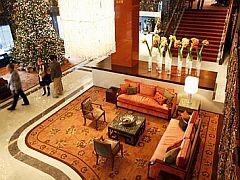 Descriptionclass="small" style="text-align: justify; font-size:11px;">Mandarin Oriental Hong Kong is a 5-star hotel located in the heart of Central, within easy access to shopping areas, business district and overlooking Victoria Harbour. With either city or Harbour views, each guestroom features duck feather pillows, complimentary water, a nespresso coffee machine, working desk and a separate bath and walk-in shower. Rooms are equipped with high-tech amenities such as LCD TV, entertainment system with high quality audio system and wireless internet. The 10 in-house restaurants and bars offer a range of cuisines and a wide selection of beverages. 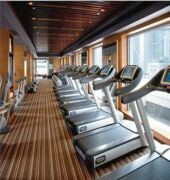 Leisure facilities at the hotel include a fitness centre, Chinese herbal steam room, jacuzzi, and an indoor swimming pool. In addition luxury spa treatments and traditional Chinese medicine are available to guests. The hotel is approximately 40 minutes drive from Hong Kong International Airport. 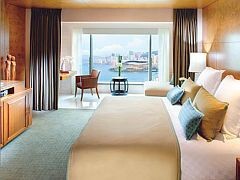 Wonderful place to stay, our room provided great views across the harbour to Kowloon and beyond. Top notch service, fantastic concierge, great gym and small but pleasant swimming pool. Canâ€™t recommend highly enough. Thank you for sharing your kind review here. We are delighted to know that you had enjoyed our rooms, services and wonderful views. We look forward to welcoming you back in the near future. Outstanding hotel in a great location with great views. The service and attention to detail is impeccable. The rooms are ultra modern and high tech. The shower is the best I have had anywhere in the world. The staff are extremely friendly and the food in man wah is simply stunning! I have never used this chain before but will always now look out for it above my usual high end choices. The chauffeur service to the airport is also first class top quality vehicles and professional service with meet and great right up to check in. Thank you for sharing your kind review here. We are delighted to know that you enjoyed our services, interior, food and great views. We look forward to welcoming you back in the near future. 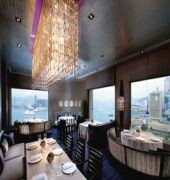 The Mandarin Oriental Hong Kong is opulent, beautifully styled, in a great location and we very much enjoyed our stay. The staff are all very welcoming and gave so many wonderful surprises. My daughters bed was styled like a big panda which she loved, child amenities, robe and slippers were a hit and she loved the suprise welcome toy. We were celebrating our anniversary and the welcome cake and chocolates from Anthony truly made the stay feel very special. I would highly recommend this property. The food was also beautiful and being so close to the harbour, shops was awesome. Thank you for a wonderful holiday! Thank you for sharing your kind review here. We are delighted to know that you enjoyed the experience with us, as well as our interior, amenities, services, location and food. We look forward to welcoming you back in the near future. Returning to stay at Mandarin Oriental Hong Kong validates it as a consistent 5 star experience with superb, caring staff and lovely accommodations! Iâ€™ve experienced all the restaurants in the hotel and each one is excellent in their own way. The hotel location canâ€™t be beat especially its Harbour view! What really sets it apart is when the long, tenured staff recognize me and consider me as apart of their family! Vivien Law, Guest Relations Manager, is exceptional and always makes sure guests are taken care of. Thank you for continuous support and to share your kind review here. We are delighted to know that you had a truly 5-star experience with us for our superb, caring staff, accommodations and wonderful views. We look forward to welcoming you back in the near future. An Institution, made better yet by an excellent team. Fond memories of the Captainâ€™s Bar from my 4yr stint in HKG years back. Fond memories from a few business stays 2011-13. Stayed for just a day on our HKG stopover while beginning a long trip away, last week- and everything ticked off just great. What shone through the most, though, was stellar above and beyond service by the Concierge team- especially Anthony, who was quick, efficient and effective in getting us out of a sticky situation- a lost work phone (you donâ€™t want that happening at the start of long travel away! )- a Star! Thank you for sharing your kind review here. We are delighted to know that you enjoyed your experience with us, as well as our service, location and restaurant. We look forward to welcoming you back in the near future.